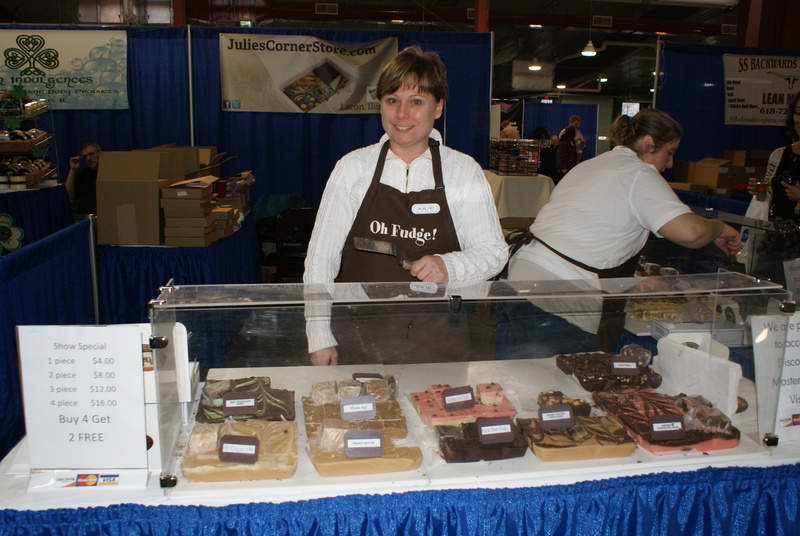 Okay I admit it, I had to stop and sample some fudge at the Illinois Products Expo. Julie Hubbard’s marvelous creations were calling my name. Who can resist chocolate mint? A small town renovator Julie can’t stand to see an empty building thus their new endeavor, a coffee shop they will call the Coffee Hub. “I hate empty buildings,” Hubbard said, “so I am opening a coffee shop.